Snow and ice may look pretty when covering a tree, until the harsh weather results in broken limbs and dangerous situations. There are several ways to help prevent damage this season, including winter tree removal. Pruning trees is important all year long for optimal plant health, but especially in the winter months while the tree is dormant. The frozen ground also makes it easier to treat a tree with less damage to the lawn around it. 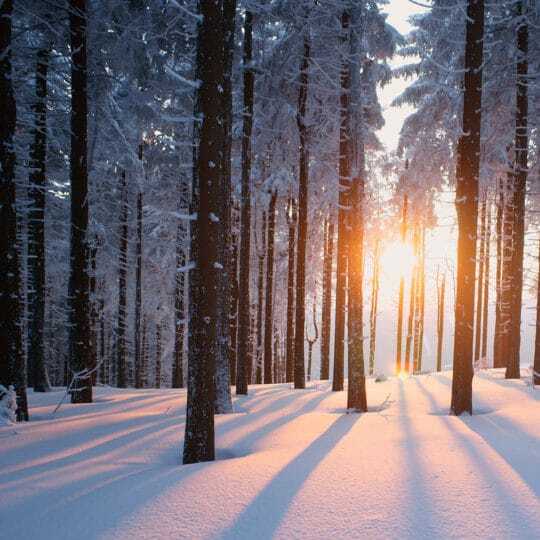 Here are a few steps to take during the winter to help get a tree through the harsh season. Mulch around the tree to help it retain moisture, raise soil temperature, and restores nutrient levels. Spread a layer about two to four inches deep and at least three inches out from the trunk. Deeply water a few inches around the tree when the ground isn’t frozen. Remove dead or diseased limbs and branches, especially any overhanging and around your house. Damage is easier to see this time of year with no leaves on the tree. 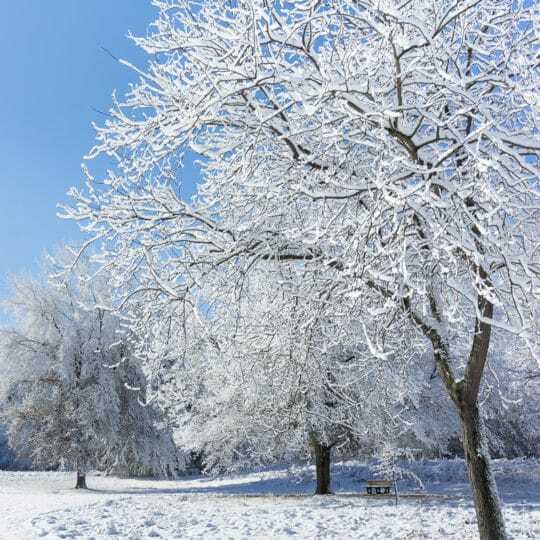 Consider cabling and bracing your trees to prevent major damage during winter storms. If there are any high-risk trees on your property—ones too old or weak to survive any inclement weather—it’s best to think about removal. When the ground is frozen, it’s easier for heavy equipment to get closer to the tree without doing major damage to your lawn. It’s also easier to have a professional tree removal service come out and remove the tree in this slower season. They may be running seasonal deals and discounts. 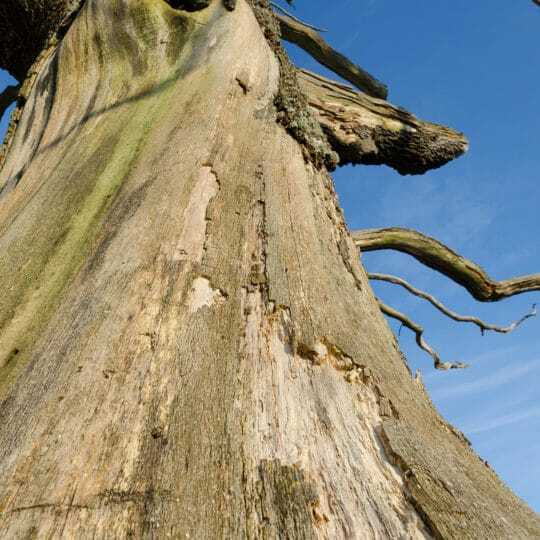 If there’s a tree you may need to remove this winter, contact Elite Tree Care with any questions and an estimate. Even dedicated DIYers should think twice before taking on the task of tree removal. 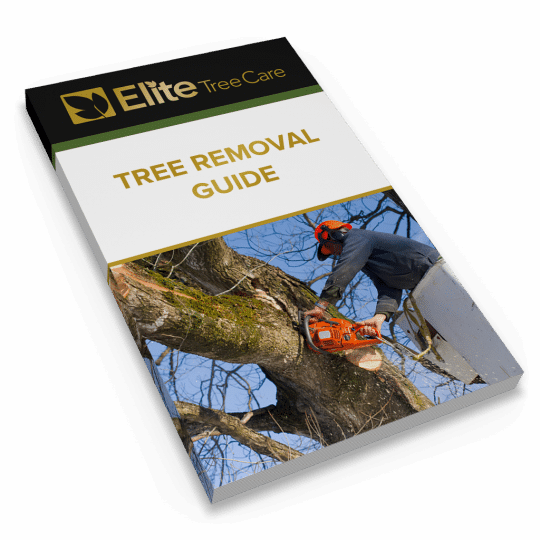 Our guide will help you decide whether to hire a tree service and how to get the most value for your money.